In the last few years, the packaging industry has experienced a lot of growth. There are many factors that have contributed to this growth and some of them include modern concepts and advancement in technology. Many sectors currently are dependent on technology growth, as in the case of the packaging industry, which can be very much attributed to the rise in online shopping and e-commerce. The packaging industry has gone through extensive transitions of late thus making it flourish. However, there is a lot of stress that has to be dealt with by people who use the services of packaging industries. There was a lot of stress in the traditional packaging sector, but many things have changed of late. With products becoming more available for customization, general packaging services have seen a decline. Many new aspects to packaging have been introduced which were not part of the industry in the past. Many new products are being rolled out on daily basis so as to cater for the ever growing needs of buyers. The main reason for the existence of package industries is to manufacture items which are used to offer protection to goods from potential damage in transit. Many types of goods are packaged before they are transported or before they are for sale. The packaging material is also used to offer protection to goods, thus making them more durable and also enhancing product quality. This industry is tricky, because it is often all about getting the best bang for your buck and saving the most resources possible in the process. This is because most manufacturers look at packaging as an ‘add-on’ expense, that is, an expense that is not directly impacting the profitability of the company. Quality improvement processes, such as the Six Sigma Method, work very well in this industry in order to help manufacturers find the best possible packaging to protect their goods at the lowest possible cost expenditure! The material that is produced depends on the kind of a product that needs to be protected. It should be able to offer the items at hand the kind of a protection that is needed. Products that have been properly packaged are more appealing. They have the ability to improve the sale volume of a certain product. People will usually buy something that is attractive to the eye, so having proper packing is a smart business strategy in some cases. In other cases, it is all about finding the most cost-efficient way to product a manufactured good. It is very important that when you tackle this mountain for your own company that you decide on your true intentions before choosing something. The use of a quality improvement process, like the Six Sigma Methodology, can also help immensely. 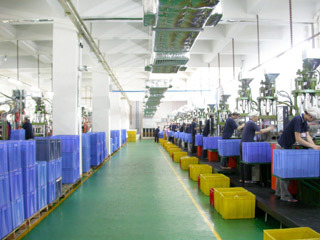 The packaging industry is very important in the lifespan and profitability of a business or product. Wrapping transforms a product and makes it ready for the market, or protects it until its intended end-user is ready for it. It is indeed a fact that companies will be spending some money to acquire the materials, but the benefits which these materials offer are many, including marketing products in the most effective way and making sure that they remain safe in the long run. To complete this process for your own business, look into getting Six Sigma Certified so that you can wrap your products in the most cost effective and efficient way possible. Six Sigma project strategies and Tools of Quality was very effective, the clasrity on process and where to fccus was there. The ambience needs to be improved. In some cases, packaging material needs to be given more thought. For instance sometimes it is needed to help preserve items, as in the case of food industry, where a high percentage of items produced are perishable in nature. Air tight and sterilized materials helps to keep the food items fresher for a longer period of time. In the makeup and hair care industries, more emphasis is put into packaging because the more ‘high-end’ the packaging, the more ‘high-end’ the product in the eyes of customers. This is one of the only industries worldwide where this is the rule.. Many materials help to convey information for purposes of advertisement. This is one of the best frameworks that could be used to pass out a message about goods and services. Many industries have adopted this strategy to enable them to achieve their goals.